Congratulation to NASA for successfully landing a rover named Curiosity on Mars Sunday night. Curiosity, a six wheels roving laboratory the size of a compact car, landed virtually right on target late Sunday after an eight-month, 352-million-mile journey. Due to thin Martian atmosphere that offers little friction to slow a spacecraft down, Curiosity had to go from more than 13,000 mph to zero in seven minutes, unfurling a parachute, then firing rockets to brake. And in a Hollywood-style finish, cables delicately lowered it to the ground at less than 2 mph. Congrats to NASA. A tremendous feat of science and engineering. I, for one, strongly endorse continued space exploration, the LHC, and the like. As cool as this is, what good is it spending billions of dollars while people who live on a planet that supports life are starving and dying? Even if Mars could have or did have the ability to support life, so what? Who will live there? Nobody. I would rather see my tax dollars spent for things that actually help us live here on earth, as opposed to wasting all this money so we can say we landed on Mars and drove a dune buggy around. Bear in mind that the NASA budget is a relative drop in the bucket compared to, say, US military spending. And it is relatively much, much less than back in the space race days when the primary purpose was to beat the USSR. The science and engineering spin-offs will be very great, and will eventually "help us live here on earth". Is the choice really between Mars and feeding the starving & fighting disease, OR is it actually between Mars and over-sized houses, SUVs, and an HDTV in every room? How will going to mars stop people from buying giant SUVs and Trucks just to drive to work @ 10mpg? I also think our military budget is out of hand as we send billions to Israel and all the other countries we get nothing in return for. Why do they need to go to Mars to develop technology? Yes I think greed and excessive consumption cause more problems for people and the earth than the money spent on space exploration and sciences. You guys keep saying NASA, but the rover was built by JPL (Jet Proposion Labs) in Pasadena, Ca. I'm sure there is a large amount of governmwnt funding involved, but lets get the facts straight on who's who first. The Mars Science Laboratory mission is part of NASA's Mars Exploration Program, a long-term effort for the robotic exploration of Mars that is managed by the Jet Propulsion Laboratory of California Institute of Technology. The total cost of the MSL project is about US$2.5 billion. And where does JPL get their funding? To show his support, President Obama will call members of the mission control team at NASA's Jet Propulsion Laboratory in Pasadena, Calif., today (Aug. 13) at 11 a.m. EDT (8 a.m. PDT). Scientists at JPL designed and built the car-size Curiosity, and will direct its two-year mission on the Red Planet. Like I said I'm sure there is large amount of funding came from the government. but the people are not direct employees of NASA. Every school gets government funding, so why get mad because it not on things you feel is important. Unless you went to a private school that was 100% privately funded or home schooled then tax dollars were spent on you also. And I'm sure someone felt why should their hard earn tax dollars go to educated you. I just question why this exploration is such a priority when in the end, we live here on this planet and have enough issues to deal with and the money could be better spent. And don't get me started on taxes for education. I pay $3k a year on school taxes and I don't have children. Growing up taxes were paid for public schools and tuition paid for private schools. I pay school taxes and hard as I try I find myself childless. To answer your question Why? for our future. the space program of the 60's was viewed the same by some, but today we are still benefiting from the research and testing that was conducted. Not just on the rockets, but how to make food last in space, computer chips speeds and so on. You and I are using computers today that could have ran the whole space program in our homes along with the ability to communcate in fourms like this. All this are the results of the 60's space program. So if going to Mars will help find a cure for cancer, help us find water in desserts or make life better in general is it a waste? Unlike Urban myth Al Gore did not invent the Internet, but professor and students at MIT and UCLA in the Late 60's doing work for NASA finding a way to communcate and send data back and forth in real time. A single person did not create the Internet that we know and use today. Below is a listing of several different people who've helped contribute and develop the Internet. The initial idea is credited as being Leonard Kleinrock's after he published his first paper entitled "Information Flow in Large Communication Nets" on May 31, 1961. In 1962 J.C.R. Licklider becomes the first Director of IPTO and gave his vision of a galactic network. In addition to the ideas from Licklider and Kleinrock, Robert Taylor helped create the idea of the network, which later became ARPANET. The Internet as we know it today first started being developed in the late 1960's. In the summer of 1968, the Network Working Group (NWG) held its first meeting chaired by Elmer Shapiro with the Stanford Research Institute (SRI) with attendees: Steve Carr, Steve Crocker, Jeff Rulifson, and Ron Stoughton. In the meeting the group discussed solving issues related to getting hosts to communicate with each other. In December 1968, Elmer Shapiro with SRI released a report "A Study of Computer Network Design Parameters." 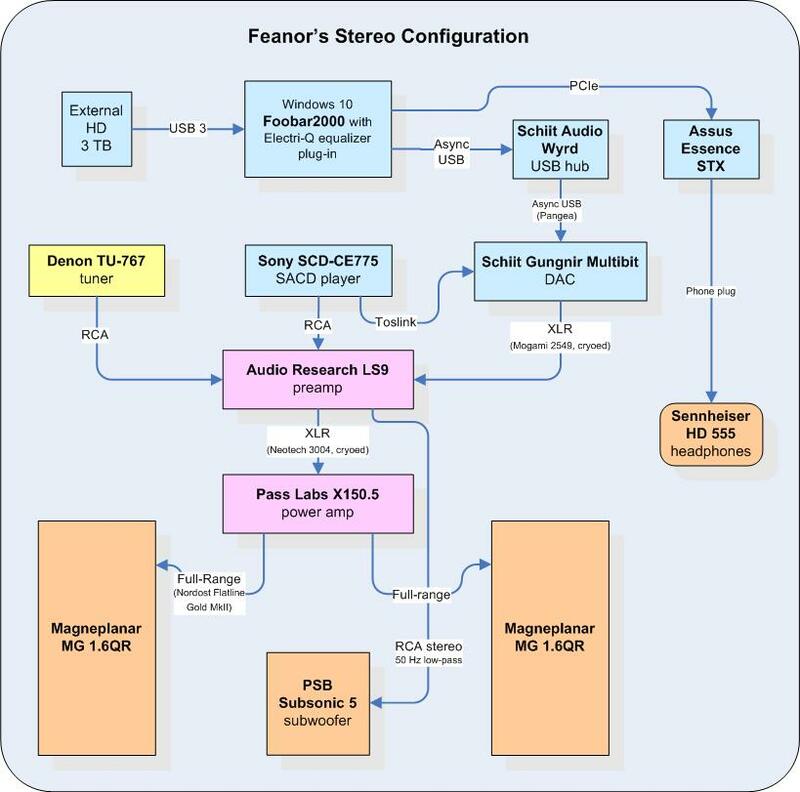 Based on this work and earlier work done by Paul Baran, Thomas Marill and others; Lawrence Roberts and Barry Wessler helped to create the final version of the Interface Message Processor (IMP) specifications. Bolt Beranek and Newman, Inc. (BBN) was later awarded the contract to design and build the IMP sub network. UCLA puts out a press release introducing the public to the Internet on July 3, 1969. August 29, 1969 the first network switch and the first piece of network equipment called "IMP", which is short for (Interface Message Processor) is sent to UCLA. On September 2, 1969 the first data moves from UCLA host to the switch. 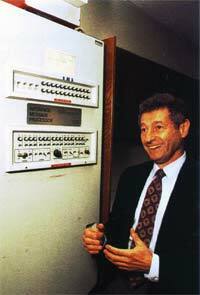 In the picture to the right, is a picture of Leonard Kleinrock next to the IMP. On Friday October 29, 1969 at 10:30 p.m., the first Internet message was sent from computer science Professor Leonard KleinRock's laboratory at UCLA, after the second piece of network equipment was installed at SRI. This connection not only enabled the first transmission to be made, but is also considered to be the first Internet backbone. The first message to be distributed was "LO", which was an attempt at "LOGIN" by Charley S. Kline to log into the SRI computer from UCLA. However, the message was unable to be completed because the SRI system crashed. Shortly after the crash, the issue was resolved and he was able to log into the computer. Last edited by recoveryone; 08-13-2012 at 09:02 AM. What I'm getting at is that citizens could decide that scientific curiosity is more important than sports, beer, and impressing the guy next door. I agree that much of defence spending is waste, not the least what goes to Israel. The Moon Project had huge technology & engineering side benefits; the Mars Project will too. Of course, it's smaller project so fewer side benefits might follow, but more that proportionally to the cost I'd guess. But you went to school, no?? Yes and my parents paid the taxes for that. I don't really disagree with that. But, do the citizens actually get to decide on ANY of it? No. I don't agree that people should make $10 million a year to play a game while Police, Fire Fighters, Teachers and other NEEDED positions get paid crap. I will not buy a ticket to a professional sporting event. There is nothing wrong with beer, not sure where that comes into play. Impressing the neighbor, that's up in the air as far as how much is spent on that but Homey Don't Play That either. Side Note: A few years ago I came up with an idea where everyone gives up Fireworks for one year and use all that money to do something helpful for those in need. I could not get 5 people to agree with me so that tells you where all the priorities are. Now that is sad, I stopped buying them years ago, but to each their own. Get even: have kids of your own. Well, that is a misplaced and insensitive comment but you did not know that my wife and cannot have children. I was not talking as much to personal purchases of bottle rockets and such but more to the multi million dollar displays by every city and town on 4th of july and whatever other world events that do the same. It would add up to a huge amount of money that could be used to feed starving people. To answer your question Why? for our future. the space program of the 60's was viewed the same by some, but today we are still benefiting from the research and testing that was conducted. Not just on the rockets, but how to make food last in space, computer chips speeds and so on. You and I are using computers today that could have ran the whole space program in our homes along with the ability to communcate in fourms like this. All this are the results of the 60's space program. Not to mention that projects like these also help to create alot of high paying job and attract alot of big brains from around world. As Feaner mentioned, there are far greater $ waste that can be put to better use. It's matter of which spending spree get prioritize first. Like you said, we get far greater return in investing in science of going to Mars than giving it to some tiny foreign country (no names ). Last edited by Smokey; 08-13-2012 at 09:47 PM. Sorry to be offensive, but I'm tired of childless people complaining about paying taxes for education. It indicates a lack of recognition of the responsibility we all have to the broader society.